Discussion in 'Wheels & Tires' started by Sas, Aug 28, 2018. I'm about to pull the trigger on these and wanted to get some input on Centerline if anyone has it before I do. The load rating on them is the highest I've come across. Contacted Centerline and they confirmed that they have a 3700 load rating. Wow. Okay, someone do their best to talk me out of these. Okay, someone do their best to talk me out of these. Nice wheels, but I'm keeping it in the 18x9 range and in matte or satin. I'm really talking about Centerline quality in general. I think it may have been in the 90's since I last heard from them and I'm pretty sure they went out of business in sometime 2017. So I'm wondering if someone bought the name and is making them again or if people are just liquidating stock. I know they have been in the business for years and make quality wheels. I had some on my 82' Trans Am. I have no clue if the quality is as good as it was back then. Good looking wheels though! Haha, I actually looked around their site but didn't click the one link that actually had useful info about it. Makes me feel a better. Yeah, they were real big back in the day. I remember them on a lot of fast and flashy street cars. Well... damn. Looks like only one retailer has those Centerline's and they only have one of them. Everyone else is out of stock. Back to the list. @Sas did you decide on wheels? I've been looking at Centerline and figured I would search the forum. I'm also going 18x9. +12 or +18 offset, I have flares. I like those Level8 and the Fuel Ripper as well. Good taste in wheels. I prefer the blocky, chunky, wheels. The load rating of 3700 is impressive, and important to me since I tow a toyhauler. I did, but unfortunately it wasn't those Centerline's. They were out of stock nationwide and since the company went under in 2017 and was bought and revived recently they haven't made more. Good luck finding that brand. I actually went thru two of the Centerline wheels and 1-2 other brands that I wanted and they were all out. Eventually I made it down the list to the set of Method's that I liked. @Sas I gotcha, maybe I'll make a few calls. I really like the RT3 with the bronze accents. You went +18 offset, are you going to be running fender flares? You might be able to cobble together a set from several different locations. I think 4wheelonline.com may have had one or two as I recall. If you do you'd basically be the only one with them! Yep. You can see how they will basically look before the lift in that test fit link above. If you're wanting a more aggressive look you may want to think about a 0/1 offset. The +18 was right in the sweet spot of where I wanted it to be. I like it a lot. I'm already lifted 3/1. I have fender flares. I'm glad you went +18 offset because that's the exact direction I will be going. @Sas you're 18x9 with 18 offset, that should be 5.71 backspacing. Do you have any issues with clearance, rubbing, UCA clearance...? Rubbing, yes. I'm on 35x12.5x18 tires as well. I had to install 0.50" bumper spacers then heat up & push the fender well liner to avoid cutting it, and am also having a cab/body mount chop done tomorrow. Those were the only issues. I've got a guy, who knows a guy, who's cousins, uncle might have 6 of the Centerline RT3BZ, the bronze trimmed wheels. Hopefully get them ordered today. Easy transaction, they guaranteed me that 4 were available, and he also noted they were most likely the only 4 left in the country. They also price matched from another site that I had found who didn't even have the wheels available. Looking forward to these showing up. I used to be a big Centerline brand fan. I ran them on several vehicles over the years, but I had a warranty issue with them back in the late 90s and probably wouldn't buy again. 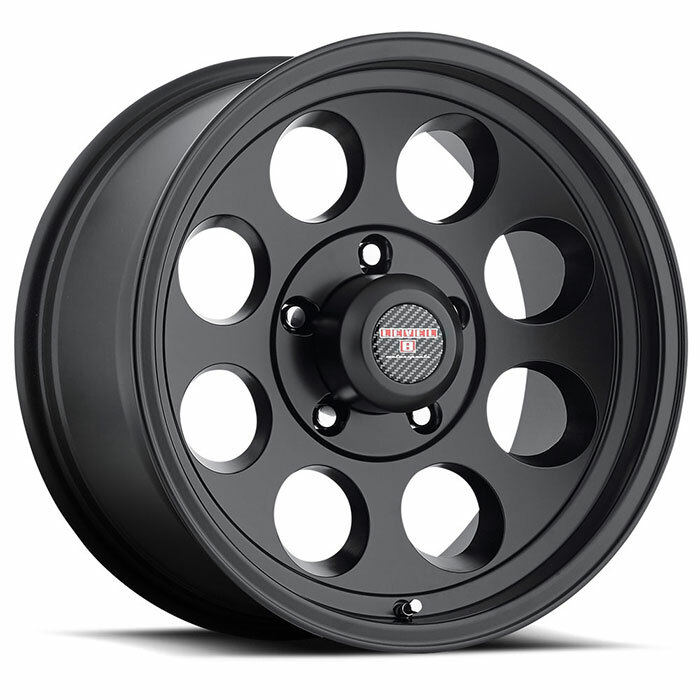 I ordered directly from Centerline a complete set of wheels for my truck. One of the wheels would never balance correctly and the tire shop noticed run out in the wheel. It wasn't perfectly straight so the wheel needed to be replaced. I had already sold the original wheels from the truck and didn't have a spare wheel or a spare vehicle to drive. I called Centerline and they said to send the wheel back and they would either repair it or send me a new wheel. Since I didn't have another wheel, I asked if I could buy a replacement wheel, then send the bent wheel back for a refund. They wouldn't do that. I never did anything about the bent wheel and after a few years, I sold the truck. Now, yes, I could have mounted the spare, or I could have went to the junk yard and bought a wheel to use during the time the wheel was shipped off, but quite frankly, I didn't want to drive my beautiful custom truck around with a mismatched wheel for 6-8 weeks or however long it would have taken them to repair or replace the wheel. It was the principal of the matter so from that time forward, they have never sold me another wheel. Too bad for them. I run custom wheels on everything. Those are all pretty nice looking wheels. For me personally, I'm not a fan of fake rim locks. My order is cancelled. Vendor just emailed me. Their "system was wrong apparently". I called and ordered via phone just so that I could ask 3 times for them to confirm the stock. These wheels are gone forever. Back to the Level 8 MK6. That happened to me too. The closest I got to the all black ones was three. Such a bummer, sorry man. All good, Happened for a reason I'm sure. I really wanted to wear out my 275/70/R18's that I have another 20-30K on easily. So now I'm looking for 8.5" wheels since they're not recommended to run on 9".